This is the the last section of my five part post dealing with the opening statement of American Chief Prosecutor, and Supreme Court Justice Robert Jackson at the major Nuremberg War Crimes Trial. The first four segments of this series dealt with Jackson’s introduction, his dissection of the Nazi wars against free Labor Unions and the Churches; Hitler and his henchmen’s most heinous crimes, the genocide against the Jews, and finally the Nazi’s criminal conduct of war. Jackson believed that the International Tribunal would serve as a model for future tribunals, unfortunately the Cold War shelved those plans. 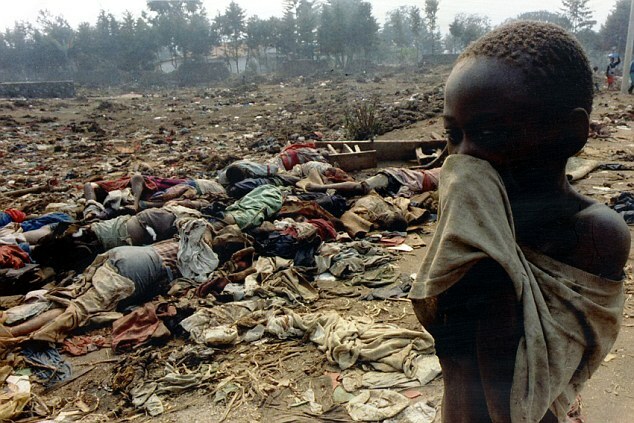 They were revived after the war crimes and crimes against humanity in the former Yugoslavia and Rwanda. In 2002 the International Criminal Court was established under the authority of the Rome Statute. One hundred twenty three nations are signatories to the pact. Unfortunately, neither the United States, or Russia have refused to ratify the treaty. Among the men most responsible or the refusal of the United States to ratify the statute and is current National Security Advisor, John Bolton. He was also deeply involved in the propaganda and false intelligence that lead to the Iraq War. In his first address after becoming National Security Advisor he launched a fierce criticism of the Court. Unfortunately, the Court, lacking the cooperation of the United States, Russia, Israel, and a number of influential middle eastern and African nations refuse to recognize the treaty or the Court. Robert Jackson would have considered Bolton no better than Nazi Foreign Minister Joachim von Ribbentrop. If Bolton and others had been in the dock at Nuremberg for crimes committed during the invasion of Iraq, they would have gone to the gallows. The refusal of the United States to ratify the Rome Statute and recognize the authority of the ICC is a stain upon our honor and an affront to the civilization and an international community built on law that Jackson and his team of prosecutors hoped to build. I am not a person who thinks that institutions alone can prevent war or war crimes, human nature being what it is. Nor do I blindly put my faith in treaties. I agree with British military historian B. H. Liddell-Hart who wrote: We must face the fact that international relations are governed by interests and not by moral principles. Jackson’s words in this final part of his address should gave every American with a scintilla of ethics and conscience pause. If they don’t then we are truly lost. Here again are Jackson’s words. Even the most warlike of peoples have recognised in the name of humanity some limitations on the savagery of warfare. Rules to that end have been embodied in international conventions to which Germany became a party. This code had prescribed certain restraints as to the treatment of belligerents. The enemy was entitled to surrender and to receive quarter and good treatment as a prisoner of war. We will show by German documents that these rights were denied, that prisoners of war were given brutal treatment and often murdered. This was particularly true in the case of captured airmen, often my countrymen. Similarly, we will show Hitler’s top secret order, dated 18th October, 1942, that Commandos, regardless of condition, were “to be slaughtered to the last man” after capture. (498-PS) We will show the circulation of secret orders, one of which was signed by Hess, to be passed orally to civilians, that enemy fliers or parachutists were to be arrested or liquidated. (062-PS). By such means were murders incited and directed. “The fate of the Soviet prisoners of war in Germany is, on the contrary, a tragedy of the greatest extent. Of 3,600,000 prisoners of war, only several hundred thousand are still able to work fully. A large part of them has starved, or died, because of the hazards of the weather. Thousands also died from spotted fever. The camp commanders have forbidden the civilian population to put food at the disposal of the prisoners, and they have rather let them starve to death. 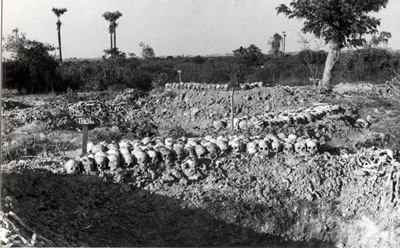 In many cases, when prisoners of war could no longer keep up on the march because of hunger and exhaustion, they were shot before the eyes of the horrified population, and the corpses were left. In numerous camps, no shelter for the prisoners of war was provided at all. They lay under the open sky during rain or snow. Even tools were not made available to dig holes or caves. Civilised usage and conventions, to which Germany was a party, had prescribed certain immunities for civilian populations unfortunate enough to dwell in lands overrun by hostile armies. 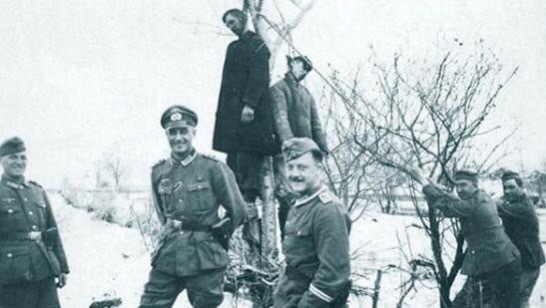 The German occupation forces, controlled or commanded by men on trial before you, committed a long series of outrages against the inhabitants of occupied territory that would be incredible except for captured orders and captured reports which show the fidelity with which those orders were executed. We deal here with a phase of common criminality designed by the conspirators as part of the Common Plan. We can appreciate why these crimes against their European enemies were not of a casual character but were planned and disciplined crimes when we get at the reason for them. Hitler told his officers on 22nd August, 1939, that “The main objective in Poland is the destruction of the enemy and not the reaching of a certain geographical line.” (1014-PS.) Those words were quoted. The project of deporting promising youth from occupied territories was approved by Rosenberg on the theory that “a desired weakening of the biological force of the conquered people is being achieved.” (03I-PS) To Germanise or to destroy was the programme. Himmler announced, “Either we win over any good blood that we can use for ourselves and give it a place in our people, or, gentlemen -you may call this cruel, but nature is cruel -we destroy this blood.” As to “racially good types” Himmler further advised, “Therefore, I think that it is our duty to take their children with us, to remove them from their environment, if necessary, by robbing or stealing them.” (L-90.) He urged deportation of Slavic children to deprive potential enemies of future soldiers. The Nazi purpose was to leave Germany’s neighbours so weakened that even if she should eventually lose the war, she would still be the most powerful nation in Europe. Against this background, we must view the plan for ruthless warfare, which means a plan for the commission of War Crimes and Crimes against Humanity. “Food rations allowed to the Russian population are so low that they fail to secure their existence and provide only for minimum subsistence of limited duration. The population does not know if they will still live. They are faced with death by starvation. The roads are clogged by hundreds of thousands of people, sometimes as many as one million according to the estimate of experts, who wander around in search of nourishment. The complete employment of prisoners of war as well as the use of a gigantic number of new civilian workers, men and women, has become an undisputable necessity for the solution of the mobilisation of labour programme in this war. In pursuance of the Nazi plan permanently to reduce the living standards of their neighbours and to weaken them physically and economically, a long series of crimes were committed. 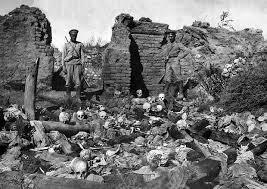 There was extensive destruction, serving no military purpose, of the property of civilians. Dikes were thrown open in Holland almost at the close of the war, not to achieve military ends but to destroy the resources, and retard the economy, of the thrifty Netherlanders. The defendant Funk was the Reich Minister of Economics and President of the Reichsbank; the defendant Ribbentrop was Foreign Minister; the defendant Goering was Plenipotentiary of the Four-Year Plan; all of them participated in the exchange of views of which this captured document is a part (2149-PS) Notwithstanding this analysis by the Reichsbank, they proceeded to increase the imposition on France from 15 million Reichsmarks to daily to 25 million per day. Not only was there a purpose to debilitate and demoralise the economy of Germany’s neighbours for the purpose of destroying their competitive position, but there was looting and pilfering on an unprecedented scale. We need not be hypocritical about this business Of looting. I recognise that no army moves through occupied territory without some pilfering as it goes. Usually the amount of pilfering increases as discipline wanes. If the evidence in this case showed no looting except of that sort, I certainly would ask no conviction of these defendants for it. But we will show you that looting was not due to the lack of discipline or to the ordinary weaknesses of human nature. The German organised plundering, planned it, disciplined it, and made it official just as he organised everything else, and then he compiled the most meticulous records to show that he had done the best job of looting that was possible under the circumstances. And we have those records. The defendant Rosenberg was put in charge of a systematic plundering of the objet d’art of Europe by direct order of Hitler dated 29th January 1940. (136-PS) On the 16th April, 1943, Rosenberg reported that up to the 7th April, ninety-two railway cars with 2,775 cases containing objets d’art had been sent to Germany; and that fifty-three pieces of art had been shipped to Hitler direct and 594 to the defendant Goering. (015-PS) The report mentioned something like 20,000 pieces of seized art and the main locations where they were stored. I shall not go into further details of the War Crimes and Crimes against Humanity committed by the Nazi gangster ring whose leaders are before you. It is not the purpose in my part of this case to deal with the individual crimes. I am dealing with the Common Plan or design for crime and will not dwell on individual offences. My task is to show the scale on which those crimes occurred, and to show that these are the men who were in the responsible positions and who conceived the plan and design which renders them answerable, regardless of the fact that the plan was actually executed by others. At length, this reckless and lawless course outraged the world. It recovered from the demoralisation of surprise attack, assembled its forces and stopped these men in their tracks. Once success deserted their banners, one by one the Nazi satellites fell away. Sawdust Caesar collapsed. Resistance forces in every occupied country arose to harry the invader. Even at home, Germans saw that Germany was being led to ruin by those mad men, and the attempt on 20th July, 1944, to assassinate Hitler, an attempt fostered by men of highest station, was a desperate effort by internal forces in Germany to stop short of ruin. Quarrels broke out among the failing conspirators, and the decline of the Nazi power was more swift than its ascendancy. German armed forces surrendered, its government disintegrated, its leaders committed suicide by the dozen, and by the fortunes of war these defendants fell into our hands. Although they are not, by any means, all the guilty ones, they are survivors among the most responsible. Their names appear over and over again in the documents and their faces grace the photographic evidence. We have here the surviving top politicians, militarists, financiers, diplomats, administrators, and propagandists, of the Nazi movement. Who was responsible for these crimes if they were not? The end of the war and capture of these prisoners presented the victorious Allies with the question whether there is any legal responsibility on high-ranking men for acts which I have described. Must such wrongs either be ignored or redressed in hot blood? Is there no standard in the law for a deliberate and reasoned judgement on such conduct? The Charter of this Tribunal evidences a faith that the law is not only to govern the conduct of little men, but that even rulers are, as Lord Chief Justice Coke it to King James, “under God and the law.” The United States believed that the law has long afforded standards by which a juridical hearing could be conducted to make sure that we punish only the right men and for the right reasons. Following the instructions of the late President Roosevelt and the decision of the Yalta Conference, President Truman directed representatives of the United States to formulate a proposed International Agreement, which was submitted during the San Francisco Conference to the Foreign Ministers of the United Kingdom, the Soviet Union, and the Provisional Government of France. With many modifications, that proposal has become the Charter of this tribunal. But the Agreement which sets up the standards by which these prisoners are to be judged does not express the views of the signatory nations alone. Other nations with diverse but highly respected systems of jurisprudence also have signified adherence to it. These are Belgium, The Netherlands, Denmark, Norway, Czechoslovakia, Luxembourg, Poland, Greece, Yugoslavia, Ethiopia, Australia, Haiti, Honduras, Panama, New Zealand, Venezuela and India. You judge, therefore, under an organic act which represents the wisdom, the sense of justice, and the will of twenty-one governments, representing an overwhelming majority of all civilised people. The Charter by which this Tribunal has its being, embodies certain legal concepts which are inseparable from its jurisdiction and which must govern its decision. These, as I have said, also are conditions attached to the grant of any hearing to defendants. The validity of the provisions of the Charter is conclusive upon us all, whether we have accepted the duty of judging or of prosecuting under it, as well as upon the defendants, who can point to no other law which gives them a right to be heard at all. My able and experienced colleagues believe, as do I, that it will contribute to the expedition and clarity of this trial if I expound briefly the application of the legal philosophy of the Charter to the facts I have recited. While this declaration of the law by the Charter is final, it may be contended that the prisoners on trial are entitled to have it applied to their conduct only most charitably if at all. It may be said that this is new law, not authoritatively declared at the time they did the acts it condemns, and that this declaration of the law has taken them by surprise. I cannot, of course, deny that these men are surprised that this is the law; they really are surprised that there is any such thing as law. These defendants did not rely on any law at all. Their programme ignored and defied all law. That this is so will appear from many acts and statements, of which I cite but a few. In the Fuehrer’s speech to all military commanders on 23rd November, 1939, he reminded them that at the moment Germany had a pact with Russia, but declared “Agreements are to be kept only as long as they serve a certain purpose.” Later in the same speech he announced “A violation of the neutrality of Holland and Belgium will be of no importance.” (789-PS.) A Top Secret document, entitled ” Warfare as a Problem of Organisation,” dispatched by the Chief of the High Command to all Commanders on 19th April, 1938, declared that “the normal rules of war toward neutrals must be considered to apply on the basis whether operation of these rules will create greater advantages or disadvantages for the belligerents. (L-211.) And from the files of the German Navy Staff, we have a “Memorandum on Intensified Naval War,” dated 15th October, 1939, which begins by stating a desire to comply with International Law. “However,” it continues, “if decisive successes are expected from any measure considered as a war necessity, it must be carried through even if it is not in agreement with International Law.” (L-184) International Law, Natural Law, German Law, any law at all was to these men simply a propaganda device to be invoked when it helped and to be ignored when it would condemn what they wanted to do. That men may be protected in relying upon the law at the time they act is the reason we find laws of retrospective operation unjust. But these men cannot bring themselves within the reason of the rule which in some systems of jurisprudence prohibits ex post facto laws. They cannot show that they ever relied upon International Law in any state or paid it the slightest regard. The Third Count of the Indictment is based on the definition of War Crimes contained in the Charter. I have outlined to you the systematic course of conduct toward civilian populations and combat forces which violates international conventions to which Germany was a party. Of the criminal nature of these acts at least, the defendants had, as we shall show, knowledge. Accordingly, they took pains to conceal their violations. It will appear that the defendants Keitel and Jodl were informed by official legal advisers that the orders to brand Russian prisoners of war, to shackle British prisoners of war, and to execute Commando prisoners were clear violations of International Law. Nevertheless, these orders were put into effect. The same is true of orders issued for the assassination of General Giraud and General Weygand, which failed to be executed only because of a ruse on the part of Admiral Canaris, who was himself later executed for his part in the plot to take Hitler’s life on 20th July, 1944. The Fourth Count of the Indictment is based on Crimes against Humanity. 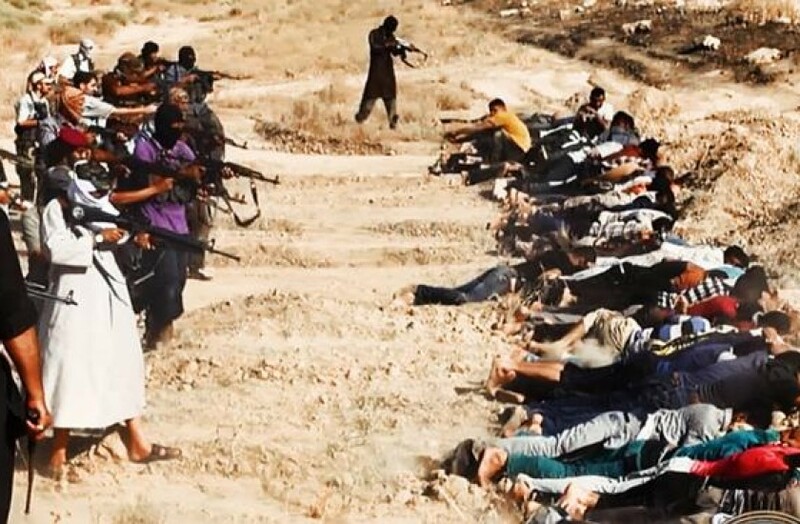 Chief among these are mass killings of countless human beings in cold blood. Does it take these men by surprise that murder is treated as a crime? The First and Second Counts of the Indictment add to these crimes the crime of plotting and waging wars of aggression and wars in violation of nine treaties to which Germany was a party. There was a time, in fact, I think, the time of the first World War, when it could not have been said that war inciting or war making was a crime in law, however reprehensible in morals. Of course, it was, under the law of all civilised peoples, a crime for one man with his bare knuckles to assault another. How did it come about that multiplying this crime by a million, and adding fire-arms to bare knuckles, made it a legally innocent act? The doctrine was that one could not be regarded as criminal for committing the usual violent acts in the conduct of legitimate warfare. The age of imperialistic expansion during the eighteenth and nineteenth centuries added the foul doctrine, contrary to the teachings of early Christian and International Law scholars such as Grotius, that all wars are to be regarded as legitimate wars. The sum of these two doctrines was to give war-making a complete immunity from accountability to law. 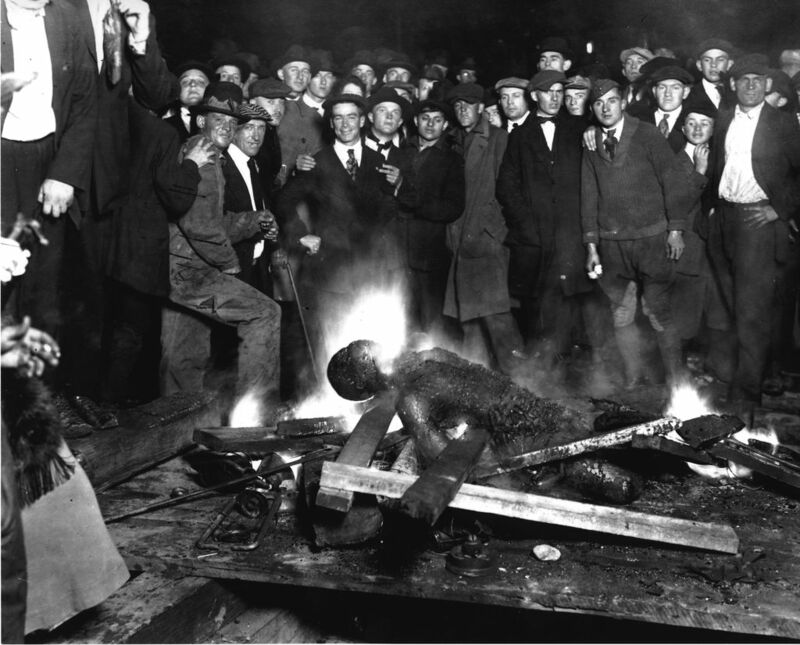 This was intolerable for an age that called itself civilised. Plain people, with their earthy common sense, revolted at such fictions and legalisms so contrary to ethical principles and demanded checks on war immunities. Statesmen and international lawyers at first cautiously responded by adopting rules of warfare designed to make the conduct of war more civilised. The effort was to set legal limits to the violence that could be done to civilian populations and to combatants as well. The common sense of men after the First World War demanded, however, that the law’s condemnation of war reach deeper, and that the law condemn not merely uncivilised ways of waging war, but also the waging in any way of uncivilised wars -wars of aggression. The world’s statesmen again, went only as far as they were forced to go. Their efforts were timid and cautious and often less explicit than we might have hoped. 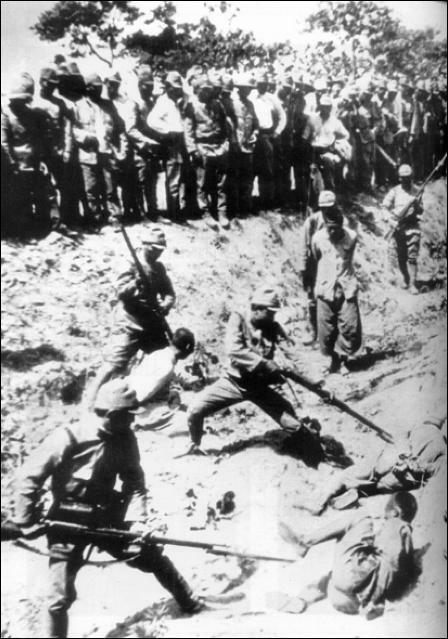 But the 1920′ s did outlaw aggressive war. A failure of these Nazis to heed, or to understand the force and meaning of this evolution in the legal thought of the world, is not a defence or a mitigation. If anything, it aggravates their offence and makes it the more mandatory that the law they have flouted be vindicated by juridical application to their lawless conduct. Indeed, by their own law -had they heeded any law -these principle were binding on these defendants. Article 4 of the Weimar Constitution provided that ” The generally accepted rules of International Law are to be considered as binding integral parts of the law of the German Reich.” (2050-PS.) Can there be any that the outlawry of aggressive war was one of the “generally accepted rules of International Law” in 1939? Any resort to war -to any kind of a war -is a resort to means that are inherently criminal. War inevitably is a course of killings, assaults, deprivations of liberty, and destruction of property. An honestly defensive war is, of course, legal and saves those lawfully conducting it from criminality. But inherently criminal acts cannot be defended by showing that those who committed them were engaged of in a war, when war itself is illegal. The very minimum legal consequence of the treaties making aggressive wars illegal is to strip those who incite or wage them of every defence the law ever gave, and to leave war-makers subject to judgement by the usually accepted principles of the law of crimes. But if it be thought that the Charter, whose declarations concededly bind us all, does contain new Law I still do not shrink from demanding its strict application by this Tribunal. The rule of law in the world, flouted by the lawlessness incited by these defendants, had to be restored at the cost to my country of over a million casualties, not to mention those of other nations. I cannot subscribe to the perverted reasoning that society may advance and strengthen the rule of law by the expenditure of morally innocent lives, but that progress in the law may never be made at the price of morally guilty lives. It is true, of course, that we have no judicial precedent for the Charter. But International Law is more than a scholarly collection of abstract and immutable principles. It is an outgrowth of treaties and agreements between nations and of accepted customs. Yet every custom has its origin in some single act, and every agreement has to be initiated by the action of some State. Unless we are prepared to abandon every principle of growth for International Law, we cannot deny that our own day has the right to institute customs and to conclude agreements that will themselves become sources of a newer and strengthened International Law. International Law is not capable of development by the normal processes of legislation, for there is no continuing international legislative authority. Innovations and revisions in International Law are brought about by the action of governments such as those I have cited, designed to meet a change in circumstances, It grows, as did the Common Law, through decisions reached from time to time in adapting settled principles new situations. The fact is that when the law evolves by the case method, as did the Common Law and as International Law must do if they are to advance at all, it advances at the expense of those who wrongly guessed the law and learned too late their error. The law, as far as International Law can be decreed, had been clearly pronounced when these acts took place. Hence we are not disturbed by the lack of judicial precedent for the inquiry it is proposed to conduct. The events I have earlier recited clearly fall within the standards of crimes, set out in the Charter, whose perpetrators this Tribunal is convened to judge and to punish fittingly. The standards for War Crimes and Crimes against Humanity are too familiar to need comment. There are, however, certain novel problems in applying other precepts of the Charter which I should call to your attention. A basic provision of the Charter is that to plan, prepare, initiate, or wage a war of aggression, or a war in violation of international treaties, agreements, and assurances, or to conspire or participate in a common plan to do so, is a crime. It is perhaps a weakness in this Charter that it fails itself to define a war of aggression. Abstractly, the subject is full of difficult and all kinds of troublesome hypothetical cases can be conjured up. It is a subject which, if the defence should be permitted to go afield beyond the very narrow charge ion the Indictment, would prolong the trial and involve the Tribunal in insoluble political issues. But so far as the question can property be involved in this case, the issue is one of no novelty and is one on which legal opinion has well crystallised. (4) Provision of support to armed bands formed in the territory of another State, or refusal, notwithstanding the request of the invaded State, to take in its own territory, all the measures in its power to deprive those bands of all assistance or protection. And I further suggest that it is the general view that no political, military, economic or other considerations shall serve as an excuse or justification for such actions but exercise of the right of legitimate self-defence -that is to say, resistance to an act of aggression, or action to assist a State which has been subjected to aggression, shall not constitute a war of aggression. It is upon such an understanding of the law that our evidence of a conspiracy to provoke and wage an aggressive war is prepared and presented. 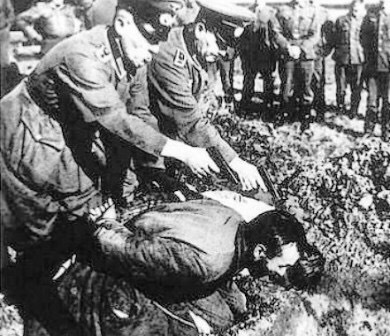 By this test each of the series of wars begun by these Nazi leaders was unambiguously aggressive. It is important to the duration and scope of this trial that we bear in mind the difference between our charge that this war was one of aggression and a position that Germany had no grievances. We are not inquiring into the conditions which contributed to causing this war. They are for history to unravel. It is no part of our task to vindicate the European status quo as of 1933, or as of any other date. The United States does not desire to enter into discussion of the complicated pre-war currents of European politics, and it hopes this trial will not be protracted by their consideration. The remote causations avowed are too insincere and inconsistent, too complicated and doctrinaire to be the subject of profitable inquiry in this trial. 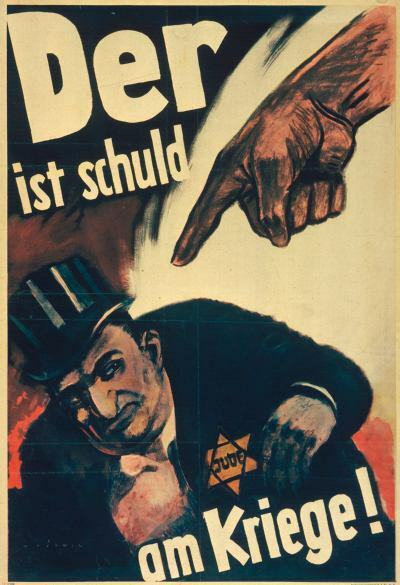 A familiar example is to be found in the “Lebensraum” slogan, which summarised the contention that Germany needed more living space as a justification for expansion. At the same time that the Nazis were demanding more space for the German people, they were demanding more German people to occupy space. Every known means to increase the birth rate, legitimate and illegitimate, was utilised. “Lebensraum” represented a vicious circle of demand-from neighbours more space, and from Germans more progeny. We need not investigate the verity of doctrines which led to constantly expanding circles of aggression. It is the plot and the act of aggression which we charge to be crimes. Our position is that whatever grievances a nation may have, however objectionable it finds the status quo, aggressive warfare is not a legal means for settling those grievances or for altering those conditions. It may be that the Germany of the 1920′ s and 1930′ s faced desperate problems, problems that would have warranted the boldest measures short of war. All other methods -persuasion, propaganda, economic competition, diplomacy-were open to an aggrieved country, but aggressive warfare was outlawed. These defendants did make aggressive war, a war in violation of treaties. They did attack and invade their neighbours in order to effectuate a foreign policy which they knew could not be accomplished by measures short of war. And that is as far as we accuse or propose to inquire. The Charter also recognises individual responsibility on the part of those who commit acts defined as crimes, or who incite others to do so, or who join a common plan with other persons, groups or organisations to bring about their commission. The principle of individual responsibility for piracy and brigandage, which have long been recognised as crimes punishable under International Law, is old and well established. That is what illegal warfare is. This principle of personal liability is a necessary as well as a logical one if International Law is to render real help to the maintenance of peace. An International Law which operates only on States can be enforced only by war because the most practicable method of coercing a State is warfare. Those familiar with American history know that one of the compelling reasons for adoption of our Constitution was that the laws of the Confederation, which operated only on constituent States, were found in-effective to maintain order among them. The only answer to recalcitrance was impotence or war. Only sanctions which reach individuals can peacefully and effectively be enforced. Hence, the principle of the criminality of aggressive is implemented by the Charter with the principle of personal responsibility. Of course, the idea that a State, any more than a corporation, commits crimes, is a fiction. Crimes always are committed only by persons. While it is quite proper to employ the fiction of responsibility of a State or corporation for the purpose of imposing a collective liability, it is quite intolerable to let such a legalism become the basis of personal immunity. The Charter recognises that one who has committed criminal acts may not take refuge in superior orders nor in the doctrine that his crimes were acts of States. These twin principles, working together, have heretofore resulted in immunity for practically everyone concerned in the really great crimes against peace and mankind. 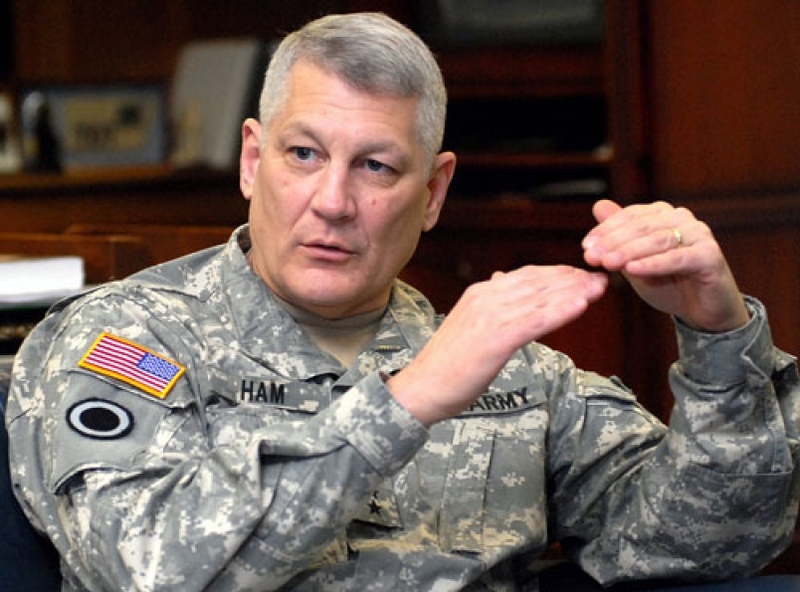 Those in lower ranks were protected against liability by the orders of their superiors. The superiors were protected because their orders were called acts of State. Under the Charter, no defence based on either of these doctrines can be entertained. Modern civilisation puts unlimited weapons of destruction in the hands of men. It cannot tolerate so vast an area of legal irresponsibility. Of course, we do not argue that the circumstances under which one commits an act should be disregarded in judging its legal effect. A conscripted private on a firing squad cannot expect to hold an inquest on the validity of the execution. The Charter implies common sense limits to liability, just as it places common sense limits upon immunity. But none of these men before you acted in minor parts. Each of them was entrusted with broad discretion and exercised great power. Their responsibility is correspondingly great and may not be shifted to that fictional being, “the State,” which cannot be produced for trial, cannot testify, and cannot be sentenced. The Charter also recognises a vicarious liability, which responsibility is recognised by most modern systems of law, for acts committed by others in carrying out a common plan or conspiracy to which the defendant has become a party. I need not discuss the familiar principles of such liability. Every day in the courts of countries associated in this prosecution, men are convicted for acts that they did not personally commit, but for which they were held responsible of membership in illegal combinations or plans or conspiracies. Accused before this Tribunal as criminal organisations, are certain political police organisations which the evidence will show to have been instruments of cohesion in planning and executing the crimes I have detailed. Perhaps the worst of the movement were the Leadership Corps of the N.S.D.A.P., the Schutz-stappeln or “S.S.,” and the Sturmabteilung or “S.A.,” and the subsidiary formations which these include. These were the Nazi Party leadership, espionage, and policing groups. They were the real government, above and outside of any law. Also accused as organisations are the Reich Cabinet and the Secret Police, or Gestapo, which were fixtures of the Government but animated solely by the Party. Except for a late period when some compulsory recruiting was done in the S.S. membership in all these militarised organisations was voluntary. The police organisations were recruited from ardent partisans who enlisted blindly to do the dirty work the leaders planned. The Reich Cabinet was the governmental facade for Nazi Party Government and in its members legal as well as actual responsibility was vested for the programme. Collectively they were responsiblefor the programme in general, individually they were especially reponsible for segments of it. The finding which we will ask you to make, that these are criminal organisations, will subject members to punishment to be hereafter determined by appropriate tribunals, unless some personal defence -such as becoming a member under threat to person or to family, or inducement by false respresentation, or the like be established. Every member will have a chance to be heard in the subsequent forum on his personal relation to the organisation, but your finding in this trial will conclusively establuish the criminal character of the organisation as a whole. We have also accused as criminal organisations the High Command and the General Staff of the German Armed Forces. We recognise that to plan warfare is the business of professional soldiers in all countries. But it is one thing to plan strategic moves in the event of war coming, and it is another thing to plot and intrigue to bring on that war. We will prove the leaders of the German General Staff and of the High Command to have been guilty of just that. Military men are not before you because they served their country. They are here because they mastered it, and along with others, drove it to war. They are not here because they lost the war, but because they started it. Politicians may have thought of them as soldiers, but soldiers know they were politicians. We ask that the General Staff and the High Command, as defined in the Indictment, be condemned as a criminal group whose existence and tradition constitute a standing menace to the peace of the world. These individual defendants did not stand alone in crime and will not stand alone in punishment. Your verdict of “guilty” against these organisations will render prima facie, as nearly as we can learn, thousands upon thousands of members now in custody of the United States and of other Armies. To apply the sanctions of the law for the programme in general, individually they were especially reponsible for segments of it. The finding which we will ask you to make, that these are criminal organizations, will subject members to punishment to be hereafter determined by appropriate tribunals, unless some personal defence -such as becoming a member under threat to person or to family, or inducement by false respresentation, or the like be established. Every member will have a chance to be heard in the subsequent forum on his personal relation to the organisation, but your finding in this trial will conclusively establuish the criminal character of the organisation as a whole. These individual defendants did not stand alone in crime and will not stand alone in punishment. Your verdict of “guilty” against these organisations will render prima facie, as nearly as we can learn, thousands upon thousands of members now in custody of the United States and of other Armies. To apply the sanctions of the law to those whose conduct is found criminal by the standards I have outlined, is the responsibility committed to this Tribunal. It is the first court ever to undertake the difficult task of overcoming the confusion of many tongues the conflicting concepts of just procedure among divers systems of law, so as to reach a common judgement. The tasks of all of us are such as to make heavy demands on patience and good will. Although the need for prompt action has admittedly resulted in imperfect work on the part of the prosecution, our great nations bring you their hurriedly assembled contributions of evidence. What remains undiscovered we can only guess. We could, with testimony, prolong the recitals of crime for years -but to what avail? We shall rest the case when we have offered what seems convincing and adequate proof of the crimes charged without unnecessary cumulation of evidence. We doubt very much whether it will be seriously denied that the crimes I have outlined took place. The effort will undoubtedly be to mitigate or escape personal responsibility. Among the nations which unite in accusing these defendants, the United States is perhaps in a position to be the most dispassionate, for having sustained the least injury, it is perhaps the least animated by vengeance. Our American cities have not been bombed by day and by night, by humans, and by robots. It is not our temples that have been laid in ruins. Our countrymen have not had their homes destroyed over their heads. The menace of Nazi aggression, except to those in actual service, has seemed less personal and immediate to us than to European peoples. But while the United States is not first in rancour, it is not second in determination that the forces of law and order be made equal to the task of dealing with such international lawlessness as I have recited here. Twice in my lifetime, the United States has sent its Young manhood across the Atlantic, drained its resources, and burdened itself with debt to help defeat Germany. But the real hope and faith that has sustained the American people in these great efforts was that victory for ourselves and our Allies would lay the basis for an ordered international relationship in Europe and would end the centuries of strife on this embattled continent. Twice we have held back in the early stages of European conflict in the belief that it might be confined to a purely European affair. In the United States, we have tried to build an economy without armament, a system of government without militarism, and a society where men are not regimented for war. This purpose, we know, now, can never be realised if the world periodically is to be embroiled in war. The United States cannot, generation after generation, throw its youth or its resources on to the battlefields of Europe to redress the lack of balance between Germany’s strength and that of her enemies, and to keep the battles from our shores. The American dream of a peace and plenty economy, as well as the hopes of other nations, can never be fulfilled if these nations are involved in a war every generation, so vast and devastating as to crush the generation that fights and but burden the generation that follows. 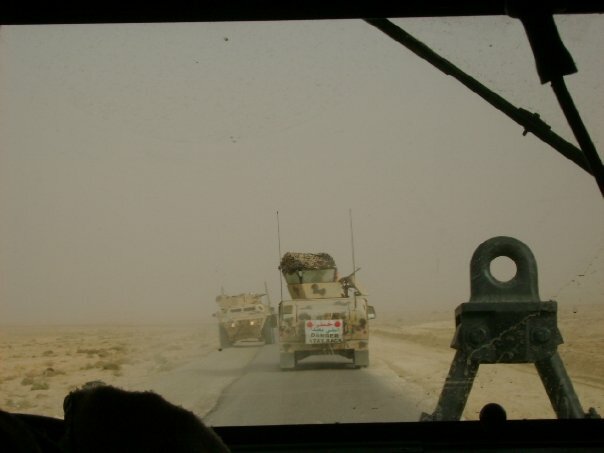 Experience has shown that wars are no longer local. All modem wars become world wars eventually. And none of the big nations at least can stay out. If we cannot stay out of wars, our only hope is to prevent wars. I am too well aware of the weaknesses of juridical action alone to contend that in itself your decision under this Charter can prevent future wars. Judicial action always comes after the event. Wars are started only on the theory and in the confidence that they can be won. Personal punishment, to be suffered only in the event the war is lost, will probably not be a sufficient deterrent to prevent a war where the warmers feel the chances of defeat to be negligible. But the ultimate step in avoiding periodic wars, which are inevitable in systems of international lawlessness, is to make statesmen responsible to law. And let me make clear that while this law is first applied against German aggressors, the law includes, and if it is to serve a useful purpose it must condemn, aggression by any other nations, including those who sit here in judgement. We are able to do away with domestic tyranny and violence and aggression by those in power against the rights of their own people when we make all men answerable to the law. This trial represents mankind’s desperate effort to apply the discipline of law who have used, their powers of state to attack the foundations of the world’s peace, and to commit aggression against The rights of their neighbors. The usefulness of this effort to do justice is not to be measured by considering the law or your judgment in isolation. This trial is a part of the great effort to make peace more secure. One step in this is direction is the United Nations organization, which may take joint political action to prevent war if possible, and joint military action to insure that any nation which starts a war will lose it. This Charter and this trial, implementing the Kellogg-Briand Pact, constitute another step in the same direction – juridical action of a kind to ensure that those who start a war will pay for it personally. While the defendants and the prosecutors stand before you as individuals, it is not the triumph of either group alone that is committed to your judgement. Above all personalities there are anonymous and impersonal forces whose conflict makes up much of human history. It is yours to throw the strength of the law behind either the one or the other of these forces for at least another generation. What are the forces that are contending before you? No charity can disguise the fact that the forces which these defendants represent, the forces that would advantage and delight in their acquittal, are the darkest and most sinister forces in society-dictatorship and oppression, malevolence and passion, militarism and lawlessness. By their fruits we best know them. Their acts have bathed the world in blood and set civilisation back a century. They have subjected their European neighbours to every outrage and torture, every spoliation and deprivation that insolence, cruelty, and greed could inflict. They have brought the German people to the lowest pitch of wretchedness, from which they can entertain no hope of early deliverance. They have stirred hatreds and incited domestic violence on every continent. There are the things that stand in the dock shoulder to shoulder with these prisoners. The real complaining party at your bar is Civilisation. In all our countries it is still a struggling and imperfect thing. It does not plead that the United States, or any other country, has been blameless of the conditions which made the German people easy victims to the blandishments and intimidations of the Nazi conspirators. But it points to the dreadful sequence of aggression and crimes I have recited, it points to the weariness of flesh, the exhaustion of resources, and the destruction of all that was beautiful or useful in so much of the world, and to greater potentialities for destruction in the days to come. It is not necessary among the ruins of this ancient and beautiful city with untold members of its civilian inhabitants still buried in its rubble, to argue the proposition that to start or wage an aggressive war has the moral qualities of the worst of crimes. The refuge of the defendants can be only their hope that International Law will lag so far behind the moral sense of mankind that conduct which is crime in the moral sense must be regarded as innocent in law. I just finished reading General Romeo Dallaire’s latest book, Waiting for First Light: My Ongoing Struggle with PTSD. 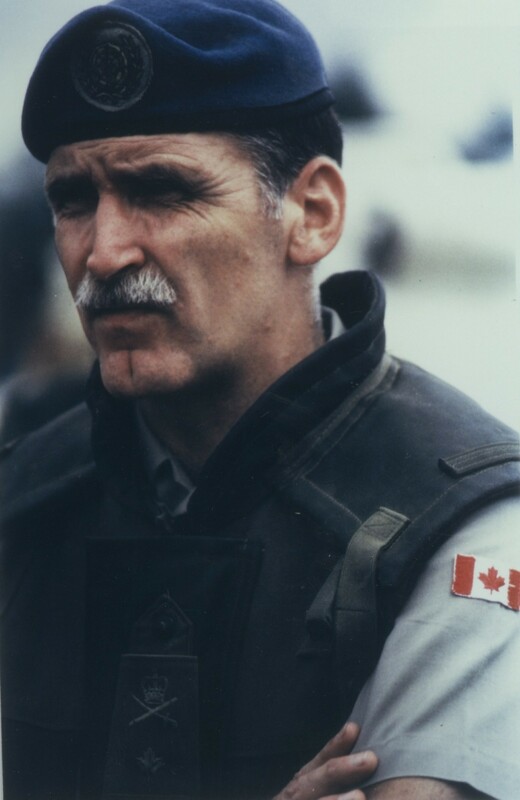 Dallaire had been the commander of the UN Peacekeepers in Rwanda, men and women who were prevented from stopping genocide, and people who have been forever haunted by what they witnessed. General Dallaire recounts a story of horror that never ended for him, and he details how difficult and traumatic coming home that neither appreciate nor understood what he had been through, including people in the military. I found so much in his story that was analogous to my own and in light of that I am going to begin writing my PTSD memoir. It will be hard because I will have to write about things that are deeply traumatic and upsetting, especially how I was received and continue to be received by most of my fellow chaplains. Because I came and publicly discussed my issues with PTSD, the shattering of my faith in so many things, my wilderness experience of being an agnostic for two years, and the change in my faith since then, I experienced the rejection of my former church and many of my peers. 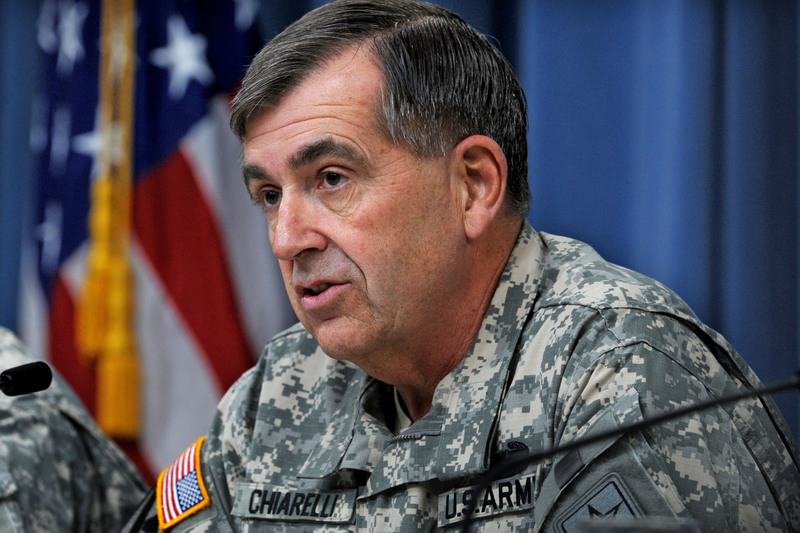 To many of my peers and Chaplain Corps superiors I am simply a broken Chaplain; and broken chaplains or for that matter broken ministers have no place and very few people who they can talk with. I remember my old Commodore at EOD Group Two, Captain Tom Sitsch ask me bluntly “Where does a chaplain go for help?” My answer to him was “not to other chaplains.” Sadly, he too was going through his own personal PTSD hell and with his life falling apart he committed suicide in January 2014. General Dallaire recounts a similar experience, as like Chaplains, Generals and other senior leaders have no place to go, they like us are not supposed to break. General Dallaire wrote: “I received little support from my colleagues and peers; I received only a few messages from my sixty or so fellow generals – a couple of phone calls, and an e-mail from one old friend. The others appeared to be in two camps: those who were too busy to get in touch, and those who didn’t know what to say.” But I would also add, that there are those that do not want to know and others who actually turn their backs on men and women whose injury lies inside their brain, as well as some chaplains and ministers who seem to take a certain perverse joy in inflicting pain. So pray for me if you do that, if not send some positive thoughts my direction. Some people reading my site the past week or so probably believe that I am obsessed the Holocaust, genocide, and mass murder. 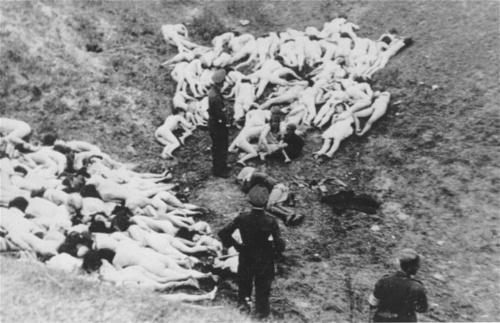 I know that the subject is extremely uncomfortable and that most people would rather not be reminded of it, but the further we get from the Holocaust and the further it recedes into memory, the more danger we face of more genocides. While these may not involve the Jews, we cannot assume the Jews are completely safe. The fact is that large percentages of people in many countries, and not just Middle Eastern Moslem countries harbor significant anti-Semitic attitudes. The highest percentages of anti-Semetic feeling outside of the Middle East are in Eastern Europe, Central and South America, and parts of Asia, including South Korea, something which suprised me. 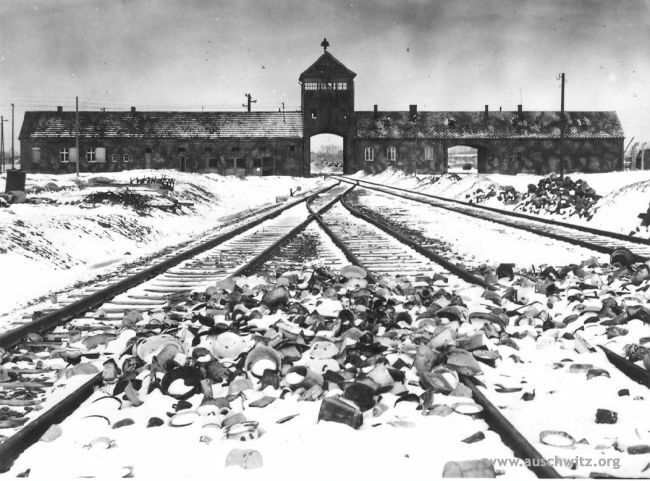 If such events like the Holocaust were limited to history they would simply be a tragic footnote on the road of human progress, but they are not. Sadly, these events continue with startling regularity and most of us bury our heads in the sand of our culture of entertainment and denial. The fact is it is easier that way. Yehuda Bauer a leading scholar of the Holocaust wrote, “Thou shalt not be a victim, thou shalt not be a perpetrator, but, above all, thou shalt not be a bystander.” The tragic thing is that we are not even decent bystanders, we just turn our backs and look the other way. Likewise there is the supposedly Christian “historian” David Barton has justified genocide of Native Americans as necessary for the spread of capitalism and Christian civilization “People complain about the fact that the American military and buffalo hunters went out and wiped out all the buffalo in the western plains. Doing that was what brought the Indians to their knees because the Indians lived on those wide western plains where there were very few towns; Indians didn’t go into town to buy supplies, they went to the buffalo herds, that’s where they got their meat, that’s where they got their coats, the hides provided coats, they provided covering for their teepees. If you don’t have the buffalos, those Indians cannot live on the open western plains without those buffalo and so what happened was the military wiped out the supply line by wiping out the buffalo. That’s what brought those wars to an end, that’s what brought the Indians to their knees and ended all the western conflict.” Of course back in 2011 current presidential candidate Mike Huckabee said that all Americans “should be forced at gunpoint” to listen to Barton. Hitler himself drew inspiration from the American example. As a child he read German translations of American Western novels, a practice that he maintained even as his Reich collapsed around him. Other minimize the systematic enslavement of African-Americans, the persecution of Asian immigrants and the later imprisonment of Japanese Americans, all committed by White Americans in the name of economics, security, or prosperity. I could keep going on but I think that you get the point, which is that it can happen again and we always have to be on guard. It would not take much, in times of crisis, and desperation people, even the best and brightest can delude themselves into the commission of terrible crimes against others. That is the lesson of history, and we should not forget it, lest it happen again. Today was the International Holocaust Remembrance Day. 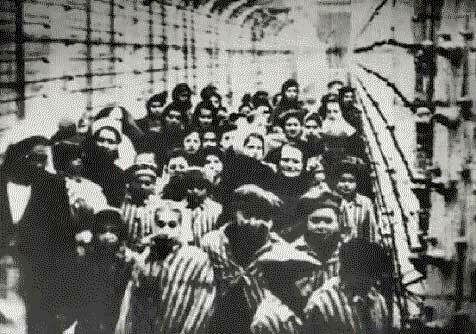 It was on January 27th 1945 that the Nazi death camp called Auschwitz, in Poland was liberated by the Red Army. 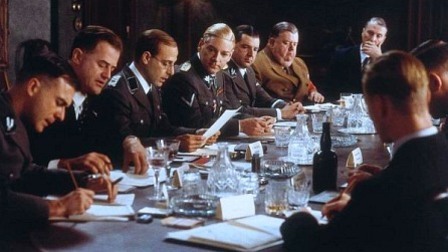 This evening I watched the movie Conspiracy which is about the two hour long Wansee Conference headed by Reinhard Heydrich and organized by Eichmann. That conference put the representatives of competing agencies, and in the case of the SS, agencies within agencies together and brought about their cooperation in the execution of the Final Solution. The film is chilling in the ordinariness of the men involved. civil servants, party officials, they were the men that did the day to day administration of the necessary functions of the Reich. Some were horrified at the potentiality of the effects of what Heydrich referred as “evacuations” entailed. They understood that it meant the extermination of the Jews. 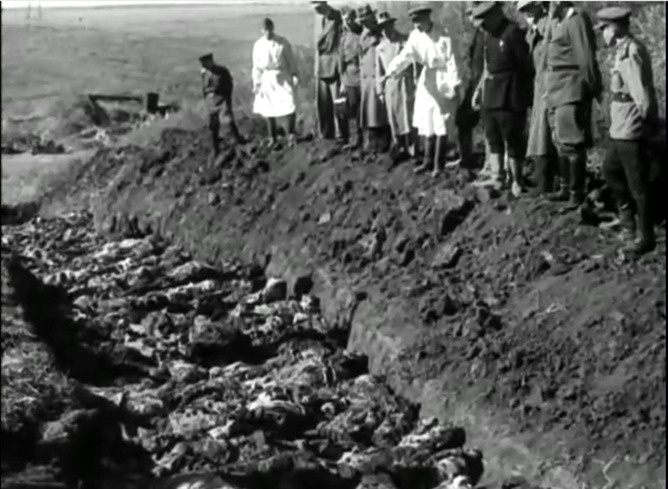 Some were concerned about the military and logistical aspects, others in how such actions squared with the German law, especially the Nuremberg Laws, while still others were concerned with diplomatic relations with Germany’s allies or occupied countries and some unnerved by the fact that it would be murder. But when the conference was done, all agreed and worked together and it only took two hours.